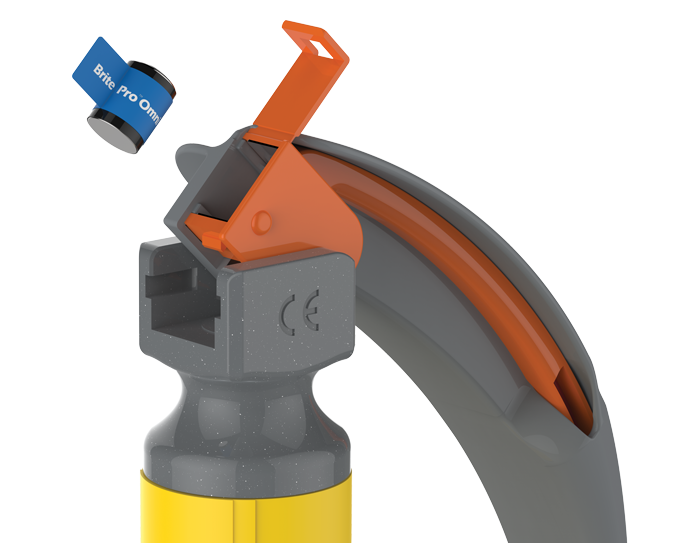 BritePro™ Omni is an All-in-One, Sterile, Single-Use Laryngoscope for instant use straight from the pack, simply open, use and dispose. Supplied sterile packed, BritePro™ Omni reduces the risk of cross-contamination. Pre-assembled blade and handle for instant use, avoiding component compatibility issues. In-pack-testing confirms light function without compromising sterility. With a minimum typical output of 2,500 lux, the fully encased, bright, cool toned LED light source directly focuses on the glottic area, delivering excellent visualisation at all times. 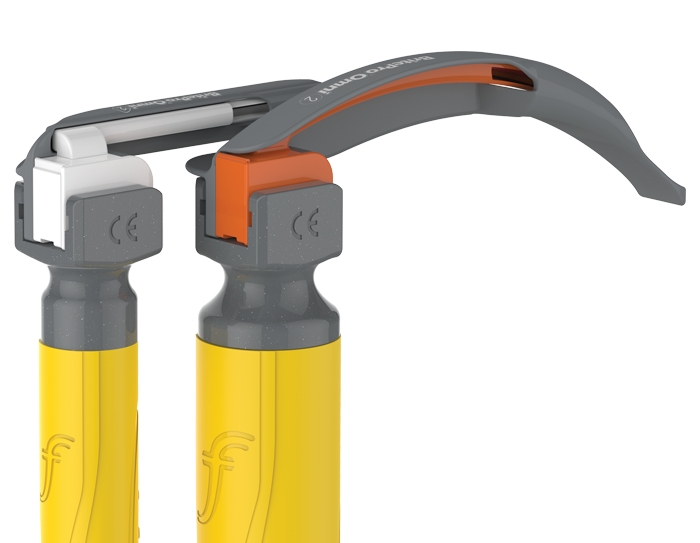 Ultra-low profile blade reduces risk of dental trauma and provides additional space to manoeuvre the blade for the best view possible. Quick release mechanism in the reinforced block housing for easy battery removal, minimising both pre-use and post-use handling, reducing cross-contamination risk. Clearly printed blade size and profile on handle base, and each blade is colour coded for fast verification. Get all of these great features in your operating theatre or emergency kit and start saving today with BritePro Omni. 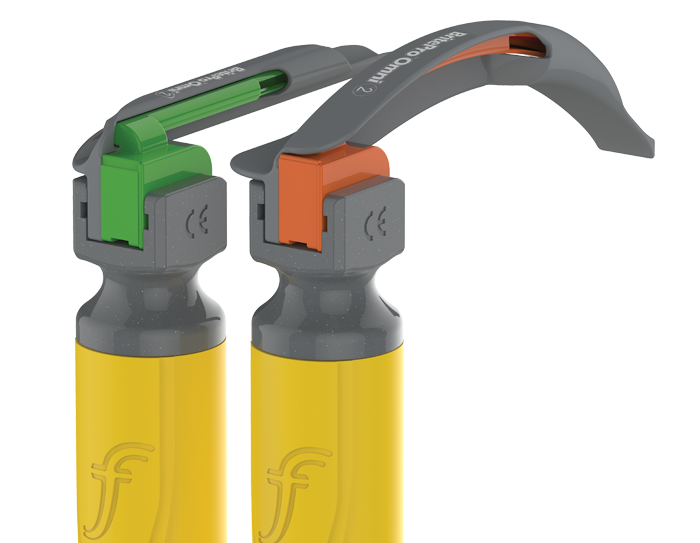 1 Williams D, Dingley J, Jones C, Berry N. Contamination of Laryngoscope Handles. Journal of Hospital Infection (2010) 74, 123-128. 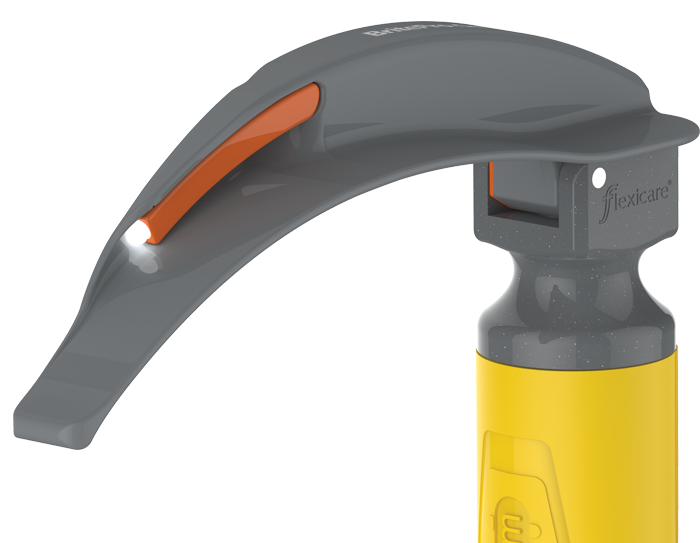 2 Call T, Auerbach F, Riddell S, Kiska D, Thongrod S, Tham S, Nussmeier N. Nosocomial Contamination of Laryngoscope Handles: Challenging Current Guidelines. International Anesthesia Research Society (2009) Vol. 109, No. 2. 3 Miller D. M. et al. Presence of protein deposits on `cleaned’ re-usable anaesthetic equipment. Anaesthesia, 2001, 56, 1069-1072. 4 Capt. Philips Rita.A et al. Incidence of visible and occult blood on laryngoscope blades and handles JAANA June 1997.